The penultimate round of the Junior 1000 Ecosse Rally Challenge takes to the stages at Kames, Muirkirk in Ayrshire this weekend on Sunday 23rd September for the Albar Kames Trophy Rally supported by ISS (Aberdeen) Ltd with the first car away at 09.31 Hrs. There will also be a few 'senior' entries supporting the youngsters in bigger and faster cars but amongst them lurks a rallying revolution. 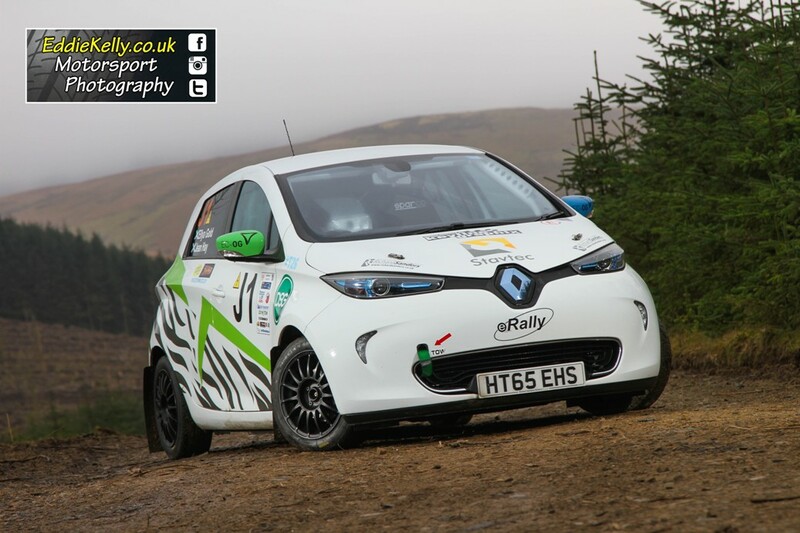 This event will witness the competition debut in Scotland of the UK's first electrically powered special stage rally car. 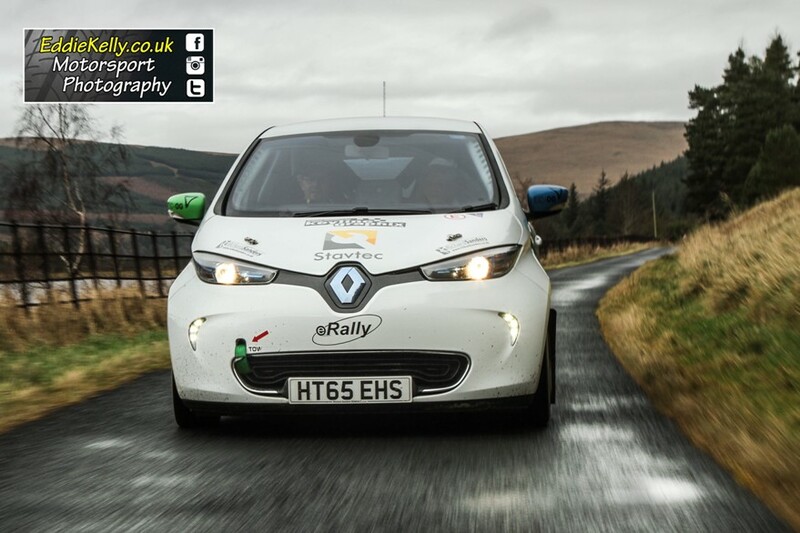 The fully electric Renault Zoe rally car is the result of an extensive development programme orchestrated by Jean Hay and Ellya Gold. The car is powered by a 65Kw electric motor driving the front wheels and has been fitted with an approved MSA rollcage, seats and harnesses. So if you fancy a day out and seeing (but not hearing!) something different, come along for a look.